In a 5-4 decision, the court ruled that trial judges may not impose a minimum term of life for youth. Washington state’s Supreme Court ruled Thursday that sentencing youth offenders to life in prison without parole is unconstitutional, joining 20 states and Washington D.C. who’ve already outlawed the practice. The justices ruled 5-4 that trial courts may not impose a minimum term of life, as that would mean a life without parole sentence, for people convicted of committing a crime when they were younger than 18 years old. The sentencing “constitutes cruel punishment,” and doesn’t achieve the legal goals of retribution or deterrence because children are less culpable than adults, it said. 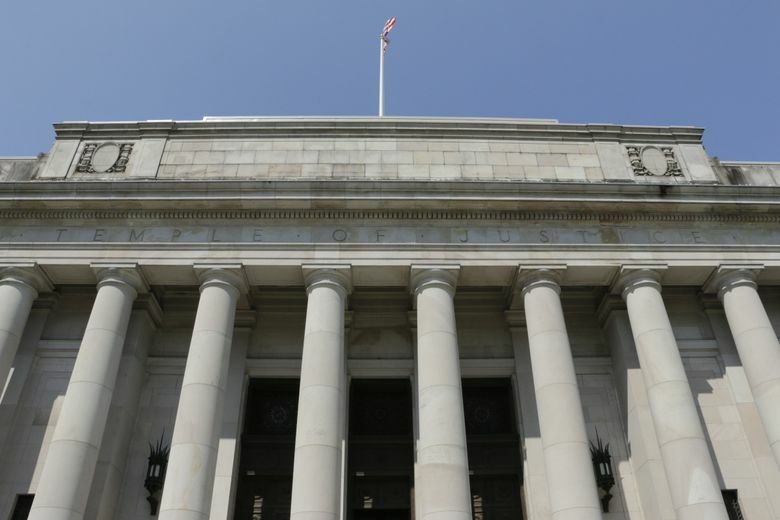 Children convicted of crimes, including the highest degree of murder, are also entitled in Washington to special protections from sentencing courts when possible, the court said. The ruling comes on the heels of a unanimous decision by the state’s justices earlier this week that struck down the death penalty, declaring its current application to be in violation of Washington’s constitution. It addresses an appeal filed by 39-year-old Brian Bassett, who was convicted of three counts of aggravated first-degree murder for fatally shooting his parents and drowning his 5-year-old brother in a bathtub in 1996, when he was 16. A judge called Bassett a “walking advertisement” for the death penalty, according to court records. Life without parole was the mandatory sentence for the convictions at the time. A pediatric psychologist testified that the teenager had suffered from adjustment disorder and struggled to cope with homelessness after his parents kicked him out of the house. Bassett later said that at the time, he wasn’t able to comprehend the long-term consequences of his actions, according to court records. He hasn’t had any prison violations for 15 years, has earned his GED and was on the Edmonds Community College honor roll. He got married in 2010. Grays Harbor County Prosecutor Katie Svoboda, who served as prosecutor when Bassett filed an appeal last year in the state Court of Appeals, said she was “frustrated” by the decision. Following research on juvenile brain development, the U.S. Supreme Court in 2012 ruled that automatic life sentences for juveniles were unconstitutional. The state Legislature responded two years later with a law that allowed youth inmates who were sentenced to life as juveniles to have their sentences reconsidered, although they could still be sentenced to life in prison. Thursday’s ruling eliminates that option for judges.